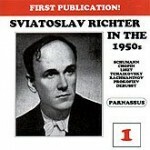 PACD 96003/4 Sviatoslav Richter Live in the 1950s Volume Two was recorded in Moscow in 1952 through 1957. All selections are previously unpublished on CD or LP, with the exception of the Scriabin Sonata No. 6, which now appears for the first time as part of the complete recital. 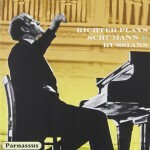 This set includes the only live concerts appearance of Richter playing Schumann’s Humoreske, Op.20, and the earliest one of him playing the Tchaikovsky First Piano Concerto. 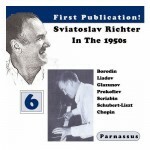 It also includes the earliest recording of Richter playing one of his greatest interpretations, Mussorgsky’s Pictures at an Exhibition, in a virtuoso performance from 1952 which contrasts interestingly with his better-known Sofia performance from 1958. Click here for complete contents. 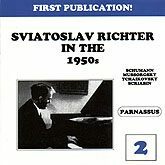 PACD 96005/6 Sviatoslav Richter Live in the 1950s Volume Three was recorded at Moscow recitals in 1954 and 1958. None has ever been published before on CD or LP. The 1958 material included some major discoveries. 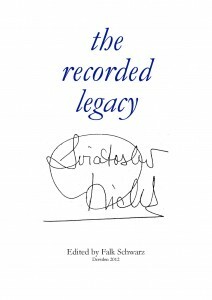 Most of it is made up of pieces from Liszt’s Années de Pélèrinage, only one of which exists in any other Richter recording. 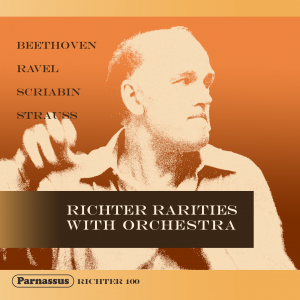 It also offers the offers the only live performance published of Richter playing Beethoven’s famous “Pathétique” Sonata. 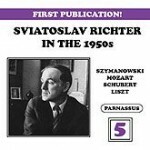 The 1954 recital includes mostly works of Ravel, including the published Richter performance of Le Gibet from Gaspard de la Nuit , the only selection of that suite he ever played. 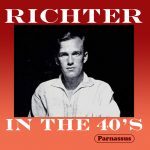 Two more of the Ravel works, Pavanne pour une infant défunte and Jeux d’eau, are the only Richter performances yet published on CD. The disc concludes with three pieces by Rachmaninov and one by Prokofiev. Click here for complete contents listing. 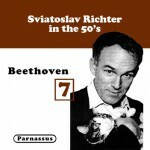 PACD 96013/4 Sviatoslav Richter Live in the 1950s Volume Four was recorded at Moscow recitals in 1954 and 1956. the obvious highlight of this set is a 1954 performance of Beethoven’s Third Piano concerto conducted by Herman Abendroth, during a visit to Moscow. It was Richter’s only performance with Abendroth, and it crackles with ntensity. the other material is Prokofiev’s Sonatas Nos. 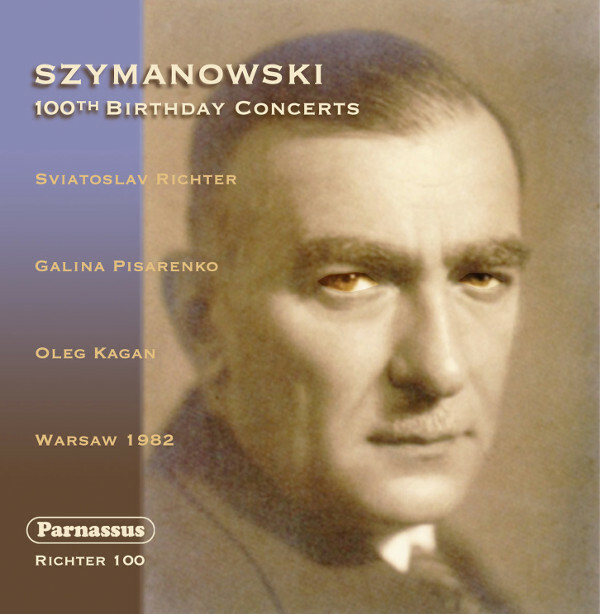 6 and 9 and Gavotte from Cinderella, eight of Shostakovich’s Preludes and Fugues (the largest group Richter ever played at one recital), Bartók’s 15 Hungarian Peasant Songs,, and Scriabin’s Vers La flamme and Poème. All of the recordings are previously unpublished. Click here for complete contents listing. 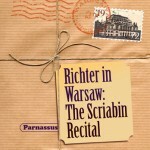 In 1972, Sviatoslav Richter chose to commemorate the 100th anniversary of the birth of Alexander Scriabin by performing an all-Scriabin program in three locations. 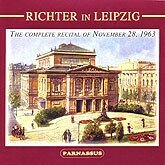 These concerts, while not quite unique, were very uncommon events in Richter’s career. He did not often give concerts devoted to a single composer. Although he played Scriabin’s music throughout his career, concerts devoted entirely to that composer were very scarce; he performed them in public only in 1945, 1957, and in 1972. 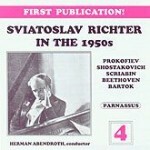 Sviatoslav Richter fans will also be interested in our first DVD: Sviatoslav Richter Plays Beethoven and Chopin. 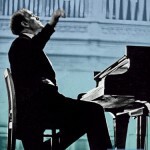 Live performances of Sviatoslav Richter never before available in the West. 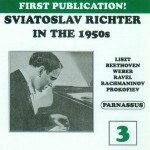 These videos, filmed at the Great Hall of the Moscow Conservatory in October of 1976, show Richter in his prime playing as a soloist in front of an audience. Many of the pages listed above also link to reviews.